Locked mode in Quizzes in Google Forms is a new way to keep students focused and distraction-free during tests and quizzes. Available only on managed Chromebooks, locked mode prevents students from navigating away from the Quiz in their Chrome browser until they submit their answers. Teachers can enable locked mode with a simple checkbox in Google Forms, giving them full control over assessments. For more information, check out the official blog post. Here is a step-by-step guide, brief animated tutorial, and new Help Center instructions to make learning how to use locked mode even easier. For locked mode Quizzes, we ask that you submit feedback through the “Send feedback” button in Forms. In the case where respondents are able to escape locked mode and open browsers during quizzes, please send us feedback using this form. We’d like to help resolve any issues as quickly as possible, so we appreciate the feedback. In addition, throughout the betas you may be asked to fill out surveys on your overall experience with locked mode quizzes. Read the full post from Google. Build more enterprise-focused features into new Sites (including ones from classic Sites): Google listened to extensive feedback from customers and have identified a number of features in classic Sites that are particularly valuable to larger organizations. They plan to add comparable functionality for those features, along with new and unique features, to new Sites. They believe these will help you use new Sites in different and exciting ways, while making the transition process to new Sites easier and more streamlined. See below for more details on specific features. The final date to transition from classic Sites to new Sites will be the end of 2021: Also based on customer feedback, they realize that classic Sites still offers unique value to our enterprise customers today. Google will continue to invest in maintaining core classic Sites functionality until end of year 2021. In 2016 Google announced a new version of Google Sites, and in 2017 they announced that new Sites would eventually become the only version of Google Sites. They’ve heard feedback that classic Sites remains valuable for customers. They plan to maintain core classic Sites functionality. This will extend the deadline to transition from classic to new Sites to the end of 2021. Sphero Edu is partnering with CodeFWD by Facebook, a free program for teachers and other adults working with 4th through 8th graders in the U.S. to inspire interest in the field of computer programming. For more information about CodeFWD click HERE. Together, Sphero Edu and CodeFWD are working to expand participation of underrepresented minority students in programming, including Black, Latino/Hispanic, Native American, and female communities. By partnering with Sphero Edu, CodeFWD can help expand access and participation so that the next generation of tech innovators better reflects and incorporates diversity. 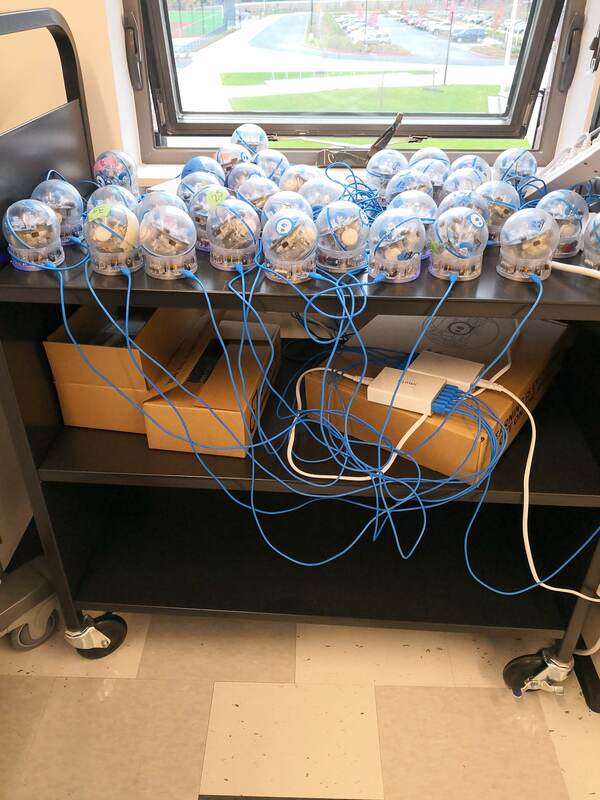 Sphero Edu and CodeFWD are offering a free Sphero BOLT Power Pack (a classroom set of 15 BOLT app-enabled robots valued at $2499) for a select number of accepted applicants through the CodeFWD program. Learn more and apply. Here’s the October issue of the newsletter. Please share with colleagues.